Homemade cookies are a tangible expression of Christian love and an indication of God’s concern for a group of people who seldom encounter either in the course of their daily lives. Chocolate chip cookies are awesome! However, we get a lot of chocolate chip. Feel free to bake some other kinds, such as sugar, peanut butter (very popular) or oatmeal. Your loving sacrifice will provide “bread” that shines the light of God’s grace into the darkest corners of a prison unit. correction officers, support staff and yes, even team members. Please make as many as you possibly can. They will not go to waste! God bless you for the gift of baking! All cookies must be “homebaked” – nothing store bought. Homemade cookies from scratch are always a special treat but store bought cookie dough can be substituted is desired. In the past, Angola had special rules about the types of cookies – good news, those rules have gone away. Cook whatever you would like. 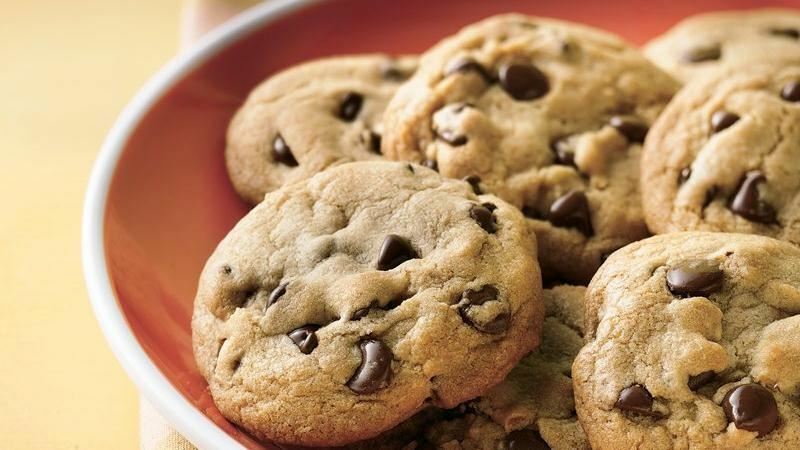 Chocolate chip are always a favorite, but other favorites include Oatmeal, Peanut Butter, Sugar and even Ginger. Try to avoid using icing, sugar or any other type of coating on the outside of the cookie. It gets really messy when we are packing and unpacking. The Key Ingredient – Prayer! Pray individually or as a family over the ingredients before and during mixing. Pray over the cookies as you drop them onto the cookie sheets and bake them. 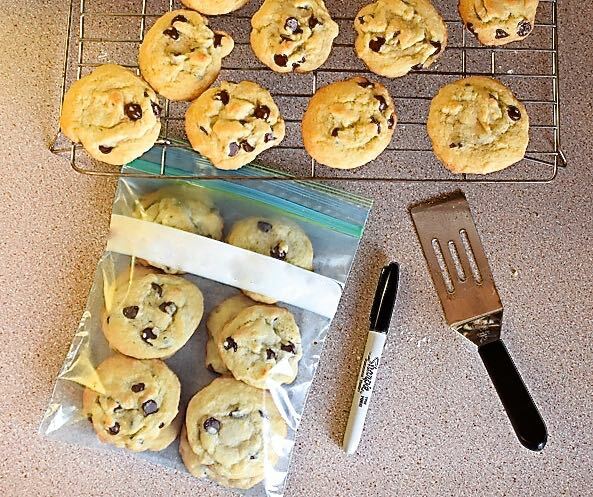 Here is how you should pack your cookies in a quart size bag. You’re not required to label each bag, but it would be great if you did. Bag thoroughly cooled cookies in a Zip Lock bag – 12 cookies per bag. You may wish to freeze the cookies if the Kairos weekend is more than 3 days away. Please deliver the bagged cookies to a team member before the start of the weekend, so they can take them to the prison. Kathy Michael made this great video summarizing the cookie experience. Would love to bake cookies for Angola …if you have a need for this. Let me know. We’ll need some for this team (#65) before November 8. You can send or bring them to First United Methodist Church, 930 North Blvd., Baton Rouge. Please label your box(es) with “Kairos Angola.” Thanks!